Come to the Denver Museum of Nature and Science to hear DMNS President and CEO George Sparks give an update on the museum - where it is today and the strategic plan moving forward for the next 10 years. The tour option of the new wing is no longer available, but you may still attend the talk and are free to visit the rest of the museum that day. For this event, please register by Wednesday, January 29th, as we must have the count to DMNS by noon that day. Any reservation made after noon on Wednesday will be charged at the late rate. Parking is available in the lots to the north of the museum. Please enter through the west doors facing City Park. Lunch attendees are free to visit the museum after the lunch and/or tour. 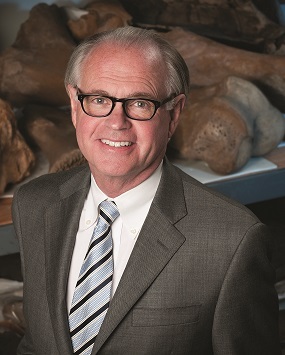 George Sparks has been the President/CEO of the Denver Museum of Nature and Science since November 2004. 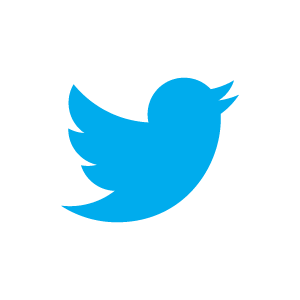 Prior to that, he was a management consultant with NorthStone Group in Louisville, CO. He spent 24 years in the electronics measurement business at Hewlett-Packard and Agilent Technologies (Agilent is a 1999 spin-off from HP). He was General Manager for several HP divisions from 1987-99, eventually leading a division of 1800 people worldwide. His career included marketing, sales, and general management of global businesses in software, systems, and services. Prior to joining Hewlett-Packard, George spent 9 years in the Air Force as a pilot and as an Assistant Professor of Aeronautics at the USAF Academy. He is a Distinguished Graduate of the USAF Academy with a BS in Aeronautical Engineering, and also holds an MS in Aeronautics and Astronautics from MIT. George's passion is educational public policy, particularly around STEAM (adding Arts to traditional math and science, STEM). George is currently working with the Smithsonian Science Education Center to bring their science curriculum to the under-served schools in the Denver metro area. He is a member of Colorado Concern and the Colorado Forum, and is on the Boards of the Denver Foundation, Colorado Legacy Foundation, Visit Denver, Mountain States Employers Council, Rose Community Foundation’s Education Committee, Denver Metro Chamber of Commerce, Colorado Bright Beginnings (Emeritus) and the Public Education and Business Coalition (Emeritus). He is also on the United States Committee of the International Council of Museums and a member of National Arts Strategies Chief Executive Program. He was recently chosen as one of five members of National Arts Strategies Willard L. Boyd Fellowship as an extraordinary contributor in his field.